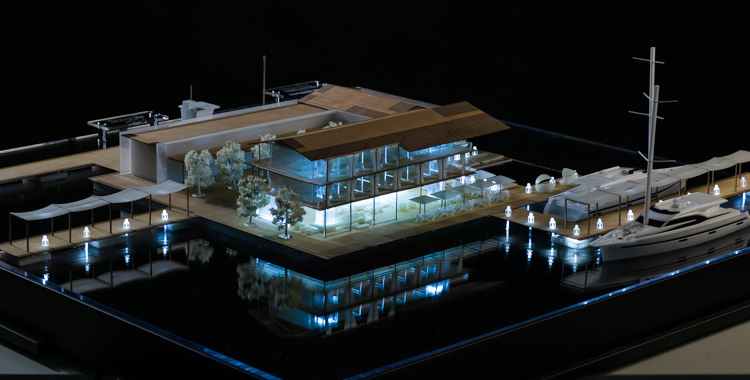 On behalf of Le YACHT Cruises, Geneva prototyping company Materia Srl created this scale model of “Le Yacht Lodge” marina resort. 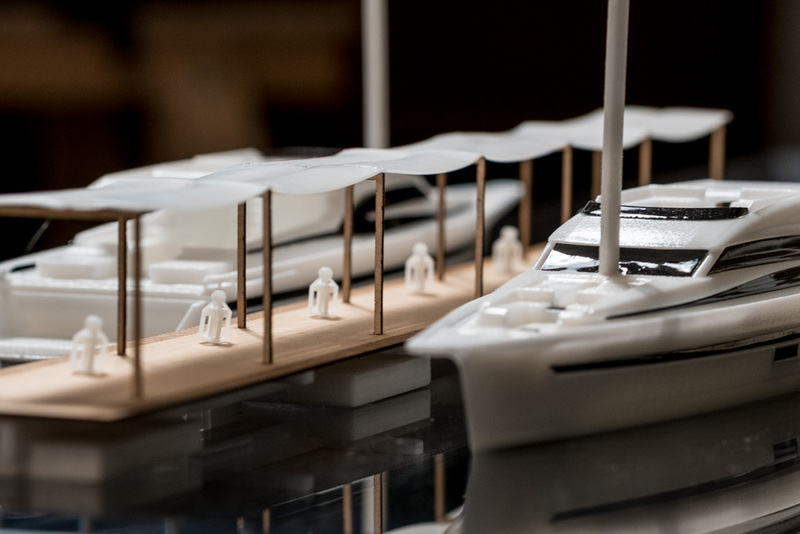 This ambitious project includes commercial, residential, and service infrastructure, built on partially fixed, floating platforms. The reproduction presents a real challenge in terms of thickness: the birch wood used for the floors and supporting structures is 1 mm thick, as is the plexiglass in the windows. 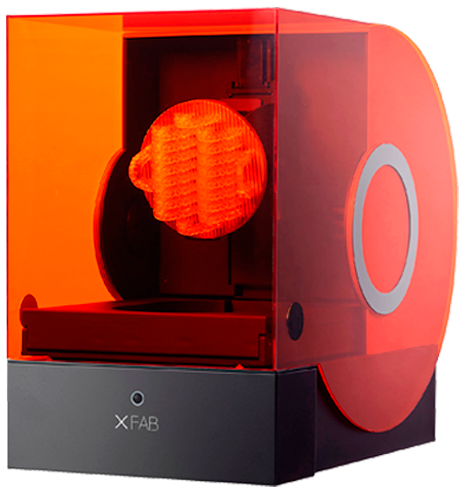 Interior and exterior furnishings, accessories, boats, and all other components were produced with the XFAB® 3D printer, using our Invicta 915 stereolithography resin, whose precision allowed perfect reproduction of the minutiae and detail, guaranteeing the faithful reproduction of every element from the CAD model.